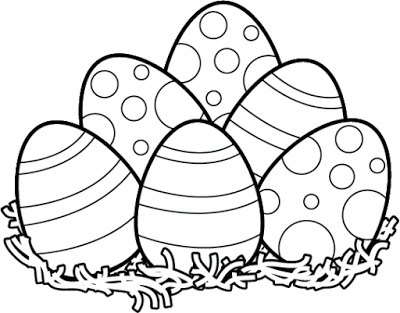 Soon it will be Easter, one of biggest days in the Amble Bay calendar. It starts with the Easter service at St Pete’s where the local ladies try outdoing each other with their Easter bonnets. Most are pretty straw hats adorned with spring blooms, but there are always one or two spectacular creations. Last year Peggy Perkins built what can only be described as a mighty headdress. Sadly she forgot to duck when entering the church and left a trail of tomatoes and tulips in her wake. Lady Leticia from the manor wore a bird’s nest made from twigs. She got Arthur to shoot her a pheasant earlier in the week which she perched on top. Unfortunately, Arthur forgot to attend to the removal of the internal bits and pieces, so as a result, everyone in her immediate vicinity wondered what on earth the stink was! The annual Easter egg hunt takes place on the green in the afternoon. Last year the kids hunted in vain. ‘You did hide the eggs didn’t you?’ asked Bossy Miss Fossie. ‘I thought you had’ answered Timid Jane visibly quaking in her rubber boots. Worry not, each child was given one! In the Father’s egg and spoon race, Tricky Dicky Donovan tried cheating by glueing his egg to his spoon. He was in the lead when Sally’s shiatsu scampered in his path tripping him up. The egg stayed put but smashed leaving Dicky with egg on his face, quite literally. Served him right! That's all for today folks! Tomorrow we’ll be venturing inside The Fish Inn and I'll be telling you something of the history of Amble Bay's oldest building. Mine's a pint of Amble Ale if you get there before me. Fancy cheating in an egg and spoon race. Mind you when I was growing up eggs were expensive (we didn't have chooks) so when we had egg and spoon races (at sunday school picnics) they were either hard boiled so could be used again in the next race and then made into sandwhiches! 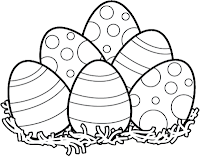 Later when I was teaching preschool we used to use the plastic eggs from the puzzle. Thinking about it... took the edge of the races didn't it. I too remember using hard boiled eggs as a kid. I don't know if they do today, but they certainly don't in Amble Bay! That sounds like a wonderful Easter day. Although, I hope they don't forget to hide the eggs again. Yes, that was a bit remis! Fun though and they did all get an egg! I could live i Amble Bay! This, I think, is how Easter should be. How delightful. Absolutely! Fun fun and nmore fun! Cheers Jacqui. I had neighbors who used to hide Easter eggs all over their yard for their kids to find. Too much trouble for me. But I did wear some pretty large hats - minus the food and and animals. I was the opposite! I hid eggs but didn't wear big hats! This is not too big an activity around here but companies are slowly catching up and making it a trend. How time flies, huh? Almost Easter. The next thing we know, it's Christmas again. Time flies when you're having fun! Or so the saying goes. We used hard boiled eggs at school as well. If you dropped the egg you were out. Parents would hide Easter chocolates. Fun for all of 10 minutes as they hid them in the same places year after year. Was still great fun though. Such a fun creation of this town. Nicely done. They certainly know how to enjoy themselves! You have such a great "voice" in these writings. Kind of you to say so Calen~. It's not my normal style but it seems to be working! 'In your easter bonnet, with all the frills upon it' These weren't exactly the type of bonnets Irving Berlin had in mind when he wrote that song! This was delightful! mighty headdress...still smiling..
Me too! Thanks so much for dropping by again. Oh dear, I hope Timid Jane didn't get in too much trouble! What a cast of characters! Loving these sketches. Some Easter mishap it appeared to be. Serious business but can still be fun! Everything is fun in Amble Bay Hank! "Unfortunately, Arthur forgot to attend to the removal of the internal bits and pieces, so as a result, everyone in her immediate vicinity wondered what on earth the stink was!" Hilarious. Amble Bay is full of quirky characters! It is Anjali and there are plenty more to come! A lively Easter round the Bay, would enjoy visiting in a couple of weeks. Get in touch with Doreen at the Cherry Tree B&B Iain. Nice place to stay! Sounds like a great place to spend Easter! I thought Easter bonnets were for kids. I like the idea of the ladies trying to outdo each other but unfortunately encountering mishaps. Get on your bike and come down Nick! Easter at our church growing up meant much the same, dressing up in Easter finery to be seen. I am laughing at the "scrambled egg" incident, serves him right for cheating! How I would love the opportunity to meet up with you at the pub for an afternoon of ale and tales! Having run several rural village pubs, I have heaps of tales to tell! Join me do! Good reminder that it's getting close, which means I need to start East basket shopping soon! Yes, get a move on! What a fun post! 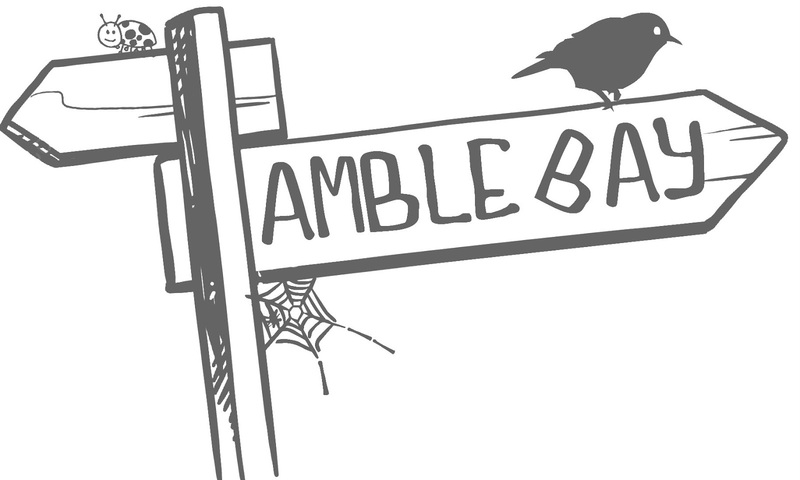 I look forward to reading the A to Zs of Amble Bay! The best is yet to come! Cheers Trudy. It sounds to me like they are going to have an interesting time this Easter, if these stories of the past are any indication! There is no doubt about that! Thanks for visiting. What a lot of fun your posts are. Egg on his face because he glued the egg onto his spoon? Noooo. And the entire village hunting for eggs together on the green. Such a pleasure to read. I'm so pleased you like it. Makes all the work worthwhile. I love hats - but pheasants and tomatoes? Having missed the recovery of a couple of eggs after one Easter Egg hunt, we had to rush Bensen, our desert tortoise to the vet, only to find that his ghastly green face was simply due to melted gummy bears! Oh my goodess! Poor Benson! I hope he enjoyed licking his face clean. Cheers diedre. Karma puts the yolk on you, Dicky boy!